If you are wanting to grow your own cannabis in Australia, you need a trustworthy and reliable source for your seeds. You need to find some good cannabis seed banks. Unfortunately, many international cannabis seed banks don’t ship to Australia. You have to seek out seed banks that will ship to OZ. The other challenge is that the climate in Australia is rather harsh. You need to be able to get your hands on marijuana varieties that will thrive in Australia, and that don’t need to be babied in a mild, lush climate. The best cannabis seed banks for your cannabis growing adventures in Australia. Many millionaires have been made in the bush. Living with flies and gathering water for month’s on end can have a huge payout. We’ve done the research to help you find the best cannabis seed banks for your cannabis growing adventures in Australia. Here are some great cannabis seed banks that ship to Australia or that are in Australia. Australian Marijuana Seeds is located in Australia and ships domestically as well as worldwide. Therefore they are savvy about Australia’s laws and they know to keep their operation under wraps, especially when it comes to shipping. They have tons of varieties and they guarantee that the seeds will make it to your door. Since they’re shipping from Australia, you don’t have to worry about Customs. They also package your order with super ninja stealth shipping techniques so that nobody in the postal service will wonder, either. Since Australian Marijuana Seeds is in Australia, they know exactly how tough the plants have to be to survive down under. You can have confidence that the plants you grow from hardy cannabis varieties from Australian Marijuana Seeds will be able to stand up to whatever the Australian weather throws at them. THC Seeds is based in Canada, it breeds its own strains but it gets seeds from breeders around the world – including Australia. This means that you can get varieties that were grown to survive and thrive in Australia. They also do stealth shipping to make it easier for you when your package goes through Customs. Is it silly to cultivate seeds in Australia, ship them to Canada, and then send them back to Australia? Maybe, but the benefit you get from it is buying from a reputable source that will guarantee your seeds will arrive, and won’t ask too many questions about what licenses you do or don’t have to be able to grow marijuana in Australia. Swiss Seeds is a Swiss based company. They have 25 years of experience in the industry. Therefore they are a resource you can count on. 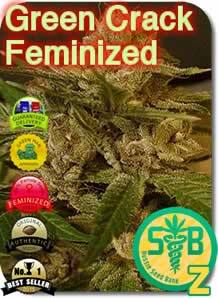 They also specialize in cultivating high quality strains for different growing situations. Therefore it’s easy to find strains that will thrive in the Australian climate on this website. Dutch Seeds is headquartered in Amsterdam. They have two main selling points: great quality and super low prices. 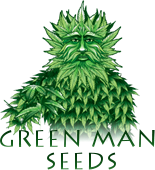 They get their seeds in bulk from Dutch growers, and they pass the savings directly on to you. They offer stealth shipping worldwide so you don’t have to answer any awkward questions about your package. OZ Seeds is another seed bank based in Australia. They also have a great selection of seeds, and of course you are guaranteed to be able to get seeds that are ideal for growing in whatever region of Australia you happen to live in. They ship domestically with stealth shipping, so you know your package will arrive without being held up in Customs. In addition, there is no indication of the company or the contents on the outside of the box, so nobody will raise their eyebrows at the post office. Aussie Seeds has been around and has built up a great reputation as one of the most trustworthy and reputable cannabis seed banks around. They are also based in Australia but accept payments in Amsterdam. You can choose from a huge variety of strains. Included in the price is “guaranteed safe delivery” using the most advanced stealth shipping inside Australia. London Seed Bank is a company based in the UK. It is a newer company and has only been online since 2013. Nevertheless, it has a great reputation as being a fantastic place to buy cannabis seeds. Most importantly, they even put in free seeds with every order, and the bigger your order the more free product they will send you!